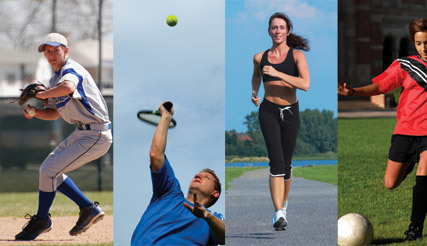 WHY CHOOSE A CERTIFIED SPORTS CHIROPRACTOR? ACBSP provides the best in healthcare for people of all activity levels. Dr. Cianci is a member of the American Chiropractic Board of Sports Physicians. This Board certification promotes the highest standards of excellence and clinical competence for chiropractors specializing in sports medicine and physical fitness. Dr. Cianci is among the few elite chiropractors in the area who is a member of the American Chiropractic Board of Sports Physicians and is certified in Athletic TIPS. Dr. Cianci's mission is to provide care, conservative management, rehabilitation and performance optimization of the neuromusculoskeletal system for athletes of all levels and to provide multi-disciplinary sports injury care prevention. Dr. Cianci provides treatment to all athletes from the weekend warrior to the professional athlete. Why Athletic TIPS™ Certification is Important when looking for a Sports Chiropractor? Doctors who receive Athletic TIPS™ certification have been personally selected to attend this program. They are given access to the education and training material used by prominent chiropractic doctors with ties to the National Football League and other sporting organizations -- benefit from their on-the-field experience in the recognition, management and prevention of sports-related injuries. Dr. Cianci is certified in TRX and is an innovative sports medicine practitioner who uses TRX as part of an individualized therapy and post-rehabilitation program. Whether used for rehabilitation or prevention of musculoskeletal injuries, TRX Training is scalable to any level of fitness. The versatility of TRX Training gives you the ability to develop mobility, joint stability and strength in multiple planes of motion, all with the same piece of equipment. This therapy is effective for those with Parkinson's disease, ask us how.